Home business business philippines francising How to? How to Francise a Generika Drugstore in the Philippines? 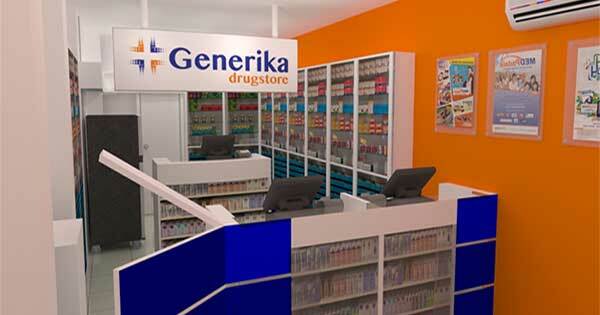 How to Francise a Generika Drugstore in the Philippines? Health is considered to be our wealth. When we got sick, the physicians advised us to take medicines. How these medicines important to us, they prolong our lives. So, if you are thinking of business which is in demand to people, start franchising now your Generika Drugstore. We all know that Generika Drugstore is offering cheaper but recognized medicines as an alternative to branded drugs. Mostly, people are looking for medicine which only suits to their budget that is why they prefer to purchase in Generika Drugstore where they save much more compared to another drugstore. In the Year 2003, it is when the Generika Drugstore was established to offer affordable medicines in the Philippines. It is the joint venture of Alexandra and Julien Bello family together with Rosalinda Ferrer that founded the brand back in September 2003 to address the problem of expensive medicines in the country. Basically, this company wants to promote the use of Generic drugs so this was the reason they called the establishment as the “Generika Drugstore”. Way back 2004, it was then the first Generika outlet was opened in Muntinlupa City. The pharmacy got a high demand to the people and successful acceptance in the market that leads them to not only stick in selling generic medicines but also opened a room to offer branded medicine, medicinal supplies, galenicals and other consumer goods. It was in the year 2008 when the Generika Drugstore begun to offer franchising to the public. Anyone could apply now and be one of the owners of this pharmacy. Mobile Laboratory Test such as Free Blood Pressure, Blood Typing, etc. In franchising Generika Drugstore, your total investment will cost Php 900k to Php 1.2 Million. This amount would pay your franchise package and its content that will depend according to the type of drugstore you chose. The franchise contract is good for five years and can be renewed. How To Start A Lugaw Business In The Philippines?